Margret, my mother, wanted to go home to Iceland. It was October 2011. We stayed on the farm with Margret’s sister and other relatives. We visited, ate tasty Icelandic food, drank the odd beer, and went hiking and exploring. From climbing mountains to helping to slaughter sheep, we drove the country clockwise. It was a trip. Documenting our travels and experiences with photographs was important to me for capturing the beauty of Iceland and for my mother. Margret has Alzheimer’s. In music, musician often sing about their honest emotion from their experiences in their real life even though they can be so traumatic experiences. In photography, this type of attempt is considered to be documentary, rather than art. Regardless, I believe nothing is different in motivation and process to express their emotion in any art forms. I truly respect Norman and his photos touched me. By the way, all his photos taken conventional film and printed in his wet darkroom. 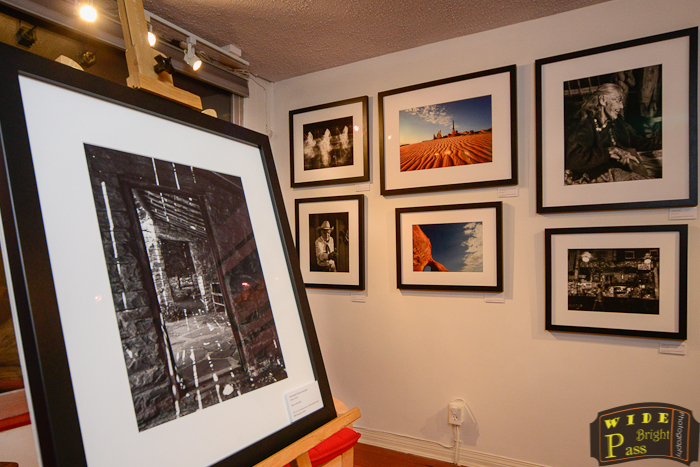 The show is until March 2nd and is part Exposure 2013 photography festival in Calgary and Canmore. 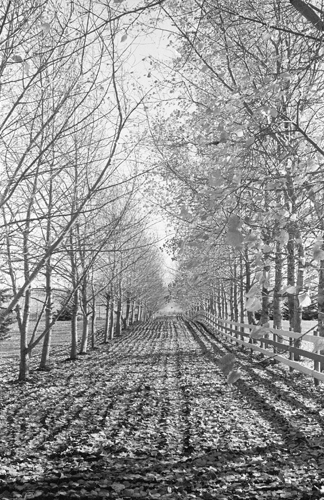 This entry was posted in Photography and tagged Alberta, Arts, Calgary, Gallery show, Photographer introduction, Visual Arts on February 26, 2013 by Hiro. One day, when I visited Framed on Fifth, a lovely custom framing shop in Calgary, the owner of the store, Hannah asked me what kind of wide-angle lens was good to record gallery shows…Framed on Fifth has gallery space and they exhibit variety of arts every month. She needs a wide-angle lens to record each show. Actually, I am not a good person to ask this type of the question since equipment is least favorite topic for me. Some people can talk about every catalog data of all Canon or Nikon lenses. I am an opposite type of the photographer. But I became more interested in how I can capture her pretty store and the gallery show. Then I can give some ideas to Hannah. 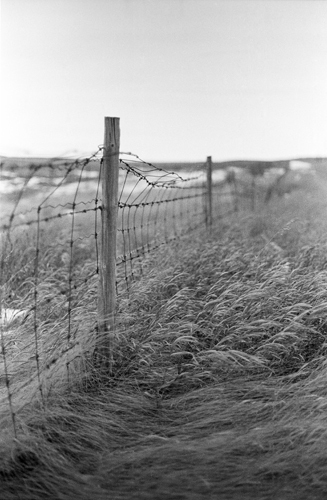 I should talk about the gallery show this month since it is featuring Royce Howland, fabulous photographer from Calgary. I knew his name from some of my friends’ blog and Outdoor photography Canada magazine. Although, he and I took the same bus from Lake O’Hara about one and half years ago, I did not know who Royce was. Then I found him at PPOC (Professional Photographers of Canada) meeting. That was the first time I talked to him. We both were accredited by PPOC in nature photography category at the same time. This is too late to announce but the opening reception of the show will be happening tomorrow, on January 4th from 5 pm to 9 pm. Royce’s photos were printed by Costas at Resolve photo, the most trusted printer in Calgary due to high quality prints, and they were framed by Hannah. 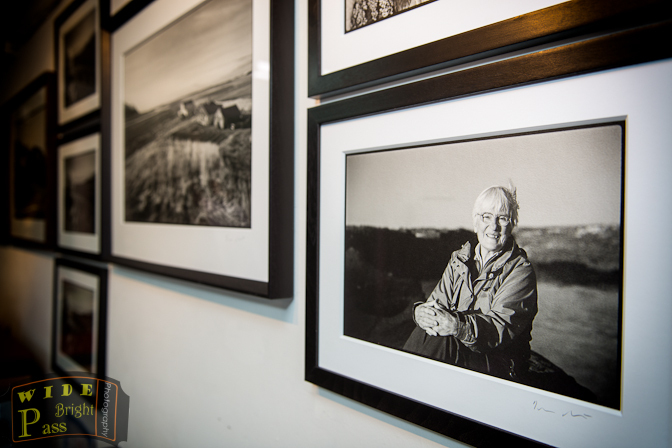 You know fabulous b&w photos which are printed by the best printer and framed truly experienced framer… the show must be awesome! I am sure we will have deep conversation…deeper than catalog data for sure… at the opening reception. As a professional photographer, I am happy to be part of the community. I am looking forward to seeing them tomorrow. This entry was posted in Photography and tagged Calgary, Calgary photographer, framed on fifth, Gallery show, Photographer introduction, Royce Howland on January 3, 2013 by Hiro. Artistic Portrait – Is a copy bad? Edmonton photographer, Daryl Benson has been one of the photographers I truly admire…I am always fascinated by his artistic images. His images are super original. It is like Thelonious Monk who is considered to be one of the pioneers of Be-bop (one of Jazz styles post swing era). His unique approach of piano play and his music was also called “Monk music”. However, I have never tried Daryl’s methods even though I felt to creating images like his works. To be honest, I am afraid of bing a copycat. So I had just concluded and told myself “Just be an artist like him”. But how can I learn his technique and such matchless creativity without coping? About 3 weeks ago, I attended Professional Photographers of Canada meeting and the guest speaker was Darton Drake, amazing portrait photographer from U.S. I was so moved by his philosophy and attitude toward photography and arts. Great artists always have many astonishing episodes, and we can learn from their stories. His portraits were so outstanding and only one of its kind. I am sure that words can describe only a little about his art, so please visit his web-site, http://www.dartondrake.com/. Then I signed up the workshop by Darton and Shelly Vandervelde. He showed us his way of the photo processing, every steps from the file came from camera to the complete work of his artistic portraits. He mentioned that copy was not bad and it was necessary (but not submit images to competitions or put on sales….make sense to me). I felt relieved. Well…think about other art-forms, everybody has to copy one point. Artists have to break the shell of the comfortable zone. I knew “copy” is the only way to expand horizon, especially when we find such inimitable artistic styles. So I tried! This image was taken as an ice-break shot for students at the workshop Janice Meyers Foreman and I had in June. I had only 5 minutes window before students started shooting, and it was studio portraits. I had to give up the shooting before my creativity kicked in. But I think I could turn the image to something I can share, I obviously applied the processing techniques I learned at Darton and Shelly’s workshop . My confession would be…this attempt is against my policy. I should visualize the final result, even partially, before clicking a shutter button instead of using Darton’s methods as a rescue technique. I know I have to try this methods again and again, and hopefully, I can develop my own methods and styles. I think I will have more sleepless nights. This entry was posted in Photography and tagged Alberta, Art, Calgary photographer, Canada, controversy, Creativity, fine art, influences, Model photo session, Models, Photographer introduction, portrait, portrait photographer, portrait photography, Visual Arts on September 6, 2012 by Hiro. It’s been long time since the last blog. This is the last episode from “Film is not dead” and this time is not quite about film, more toward to a topic about style making . When we had the film development session, Samantha Chrysanthou did not have film to develop so she tried one of my film. I have just picked up the film randomly so I did not know when and where the film was taken. One morning, while I was JUST photographing the sunrise at lake Louise, Alberta, I saw one guy carrying large tripod and Hasselblad was looking for an open spot. Yes, it was FILM Hassel, one of the most prestigious cameras. The location was quite busy with photographers. The best time of the morning passed and I started packing my gear. He approached to my spot and IMPATIENTLY waiting for me leaving. Then as soon as I moved my tripod, he set his tripod on the completely same spot and raised it to the same height. I shacked my head. The hundreds of similar images of the location can be found in Google images and more importantly the best moment was long gone. I spoke to myself his Hassey would cry. So after the film was developed by Sam, I found that the images on the roll were ones I took in Jasper, Alberta last autumn. The trip was hard since I was out of luck of the weather. I visited Pyramid lake in the morning, aiming to shoot the gorgeous sunrise and orange color on the Pyramid mountain but weather quickly turned to gray. I know Photographer’s saying “No bad light”, but also it is true overcastted sky with no cloud pattern is not encouraging. Anyway, I had to change my strategy. Then I was thinking of Sam’s images. Her subtle, soft, calm images with a kind of melancholic feel, rather than gougeous and powerful typical landscapes. That motivated me to try something in the difficult situation. The result is, I think, pretty good. The funny part of this anecdote is Sam herself developed the film accidently. Please click for the larger size. Do you see the huge difference in the creative approach between the photographer at the lake Louise and myself. I believe the process of developing creative eyes and learning music is not so different. At first, being interested in someone’s works, then we try the same things but usually did not work. Start pursuing the artist’s works more seriously,…sometimes thoroughly analyze their works. Try at the field again and see the some sort of the achievement . After this long process, the artist’s style blends into own style, becomes own flesh. In my case of Jasper, I used Sam’s influence more consciously. It is not stealing. I call this approach “Borrowing someone’s eyes”. Accepting influences is also important, I think. Mick Jaggar stated that ‘You can’t always get what you want” was inspired by “Hey Jude”. I guess that is cool. Please visit oopoomoo.com to find Sam’s appealing photos. This entry was posted in Photography and tagged Alberta, Arts, Autumn, B&W, black and white, Calgary photographer, Canadian Rockies, controversy, film, Film processing, fine art, Jasper, lakes, Landscape, Landscape photography, monochrome, National Park, Natue Photography, Photographer introduction, Style making, Visual Arts on May 26, 2012 by Hiro. As I mentioned in the last post, I will showcase the results of the film development session. 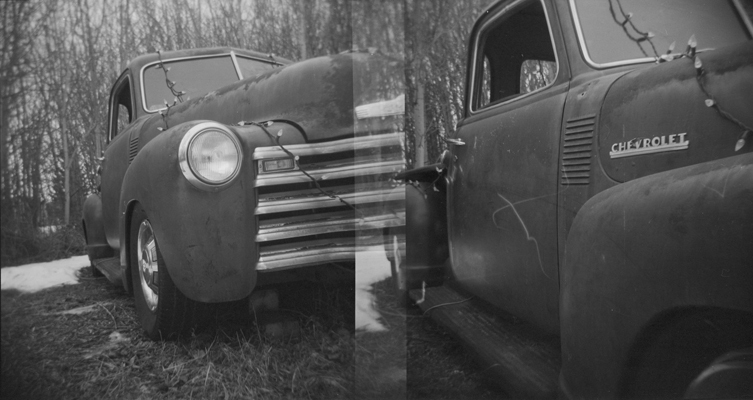 Craig Taylor developed his two roles of 35mm Ilford. I picked 3 images which I felt interesting from his roles. For some reasons, the last image caught my eyes. This image would not get a ribbon. Judges would leave negative comments from points of composition, a focal point focus, contrast, etc. But to me, all these aspects considered to be failure give a certain edge to this image. It makes me feel unease. It means this image successfully communicated to me. Is it only me to call “Lee Friedlandar’s America by Car” to mind through this image? Heather Simonds tried her Holga toy camera. At the shooting, we did know how to advance film. Just after the film development session, we discovered, her Holga came with two attachments and could select 6×6 cm or 6×4.5 cm format. So at the shooting, she thought Holga was always 6×6 cm format but actually the 6×4.5 cm attachment was loaded in the camera. Therefore, the sides of the all images taken in the film was overlapped each other. Followings are her images . Do you think if these are just failures or something interesting. I will leave to you. 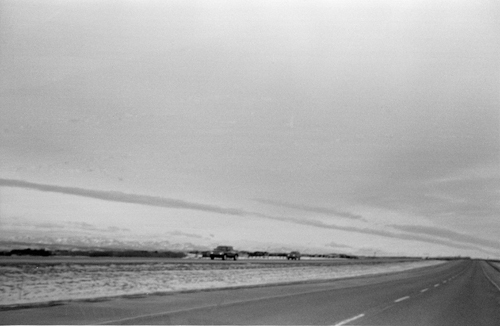 This entry was posted in Photography and tagged B&W, black and white, Calgary photographer, film, monochrome, Photographer introduction, photographic expression, Style making, Visual Arts on May 8, 2012 by Hiro.